Our last blog featured a massive iceberg that we shot around midnight on the start of our Greenland Adventure. After shooting that massive chunk of ice we retired to our bunks for the night. The boat crew worked in 3 hour shifts while we slept so we would arrive at the Sun Glacier the next morning. The really cool thing about being on a boat was shooting this massive glacier within a few minutes of waking up in the morning. The Sun Glacier was such an amazing sight, the icecap that covers much of Greenland just rolled over the edge of this mountain range into the sea. We watched the glacier calving several times. Often there was a waterfall that would occur after the initial calving and the waterfall would sometimes run for just a few minutes and in other places the waterfalls were constant. Little did we know every day for the next week would be an incredible visual treat. 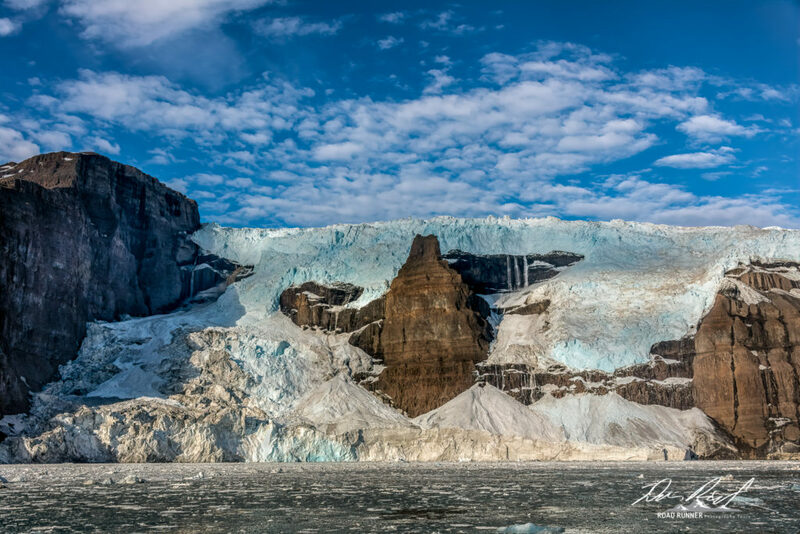 This entry was posted in Landscape Photography, Photo Tours and tagged glacier, Greenland, Ice, Landscape Photography, North Sailing, Opal, Scoresby Sound, Scoresby Sund, Seascape.